We will meet at the park entrance Pay Station at 7:00 AM. Our target bird will be the Red-cockaded Woodpeckers, who usually leave their roosting nest hole shortly after 7:15 (sunrise). Brown-headed Nuthatch and Bachman Sparrow, are the other specialty birds of the Pine Flatwoods that we will be searching for. We will caravan the parks road making stops along the way to look and view birds and nature. We should be finished by noon. The park entrance fee is $3.00 per person with a maximum $6.00 charge per vehicle, Florida residence 65 and over are free. 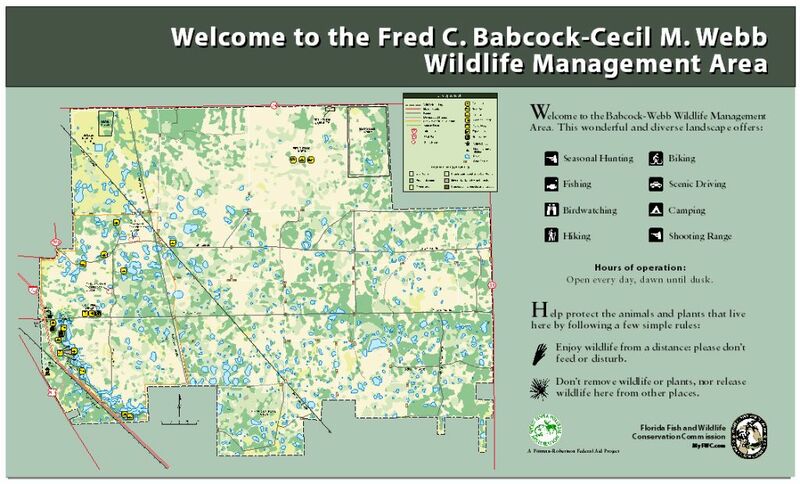 Babcock- Cecil Webb Wildlife Management Area is located east about a quarter mile from I-75 at Tuckers Grade exit 158.